Data center consolidation projects, and particularly federal data center consolidation projects, are taking place all over the country. Data center consolidation projects can prove immensely beneficial and often saves a significant amount of money in the long run. 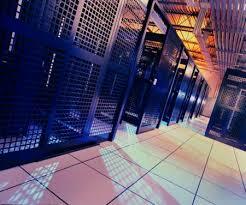 Often, outdated data centers are not energy efficient and prove to be very wasteful. By consolidating old data centers and moving over some equipment and all of the data to newer data centers energy consumptions can be greatly improved. A significant amount of money can be saved through consolidation and the U.S. Government Accountability Office shows just how much through reporting recent statistics regarding federal data center consolidation projects, “Of the 24 agencies participating in the Federal Data Center Consolidation Initiative, 19 agencies collectively reported achieving an estimated $1.1 billion in cost savings and avoidances between fiscal years 2011 and 2013. Notably, the Departments of Defense, Homeland Security, and Treasury accounted for approximately $850 million (or 74 percent) of the total. In addition, 21 agencies collectively reported planning an additional $2.1 billion in cost savings and avoidances by the end of fiscal year 2015, for a total of approximately $3.3 billion—an amount that is about $300 million higher than the Office of Management and Budget’s (OMB) original $3 billion goal. Between fiscal years 2011 and 2017, agencies reported planning a total of about $5.3 billion in cost savings and avoidances.” Many data center managers need to take a lot into account to ensure that the transition between data centers during consolidation is smooth to prevent downtime or overloading in the new data center. As data centers scramble to meet energy and data demands, data center managers have to have a comprehensive and accurate knowledge of how much power and space will be needed in a new data center so that it can truly meet the needs. Additionally, cooling needs need to be anticipated because if not, things can become overheated and energy efficiency diminished. Truly understanding the capacity of an existing data center that is being consolidated and the power, data and cooling needs necessary to accommodate it is easier said than done for data center managers. Amongst the things that need to be understood and anticipated are current density, design rating, bulk power capacity, bulk cooling capacity, data center capacity, physical site details, equipment and more. Determining what equipment can be brought from an existing data center to a new one will help anticipate physical space needs. Additionally, it is important to understand what existing software licenses can be transferred and what may need to be cancelled or renewed. While these are all important, it is simply skimming the surface of what needs to be anticipated in a data center consolidation project. A new data center that is taking on all of this from a data center consolidation project needs to not only accommodate the addition but be capable of expansion and growth in the future. While unanticipated problems are inevitable in any consolidation project, preparedness is the key to minimizing downtime and optimizing uptime and efficiency. This entry was posted in Data Center Build, Data Center Construction, data center cooling, Data Center Design, data center equipment, Data Center Infrastructure Management, Datacenter Design, Power Management and tagged Data Center, Data Center Construction, data center design, data center equipment. Bookmark the permalink.